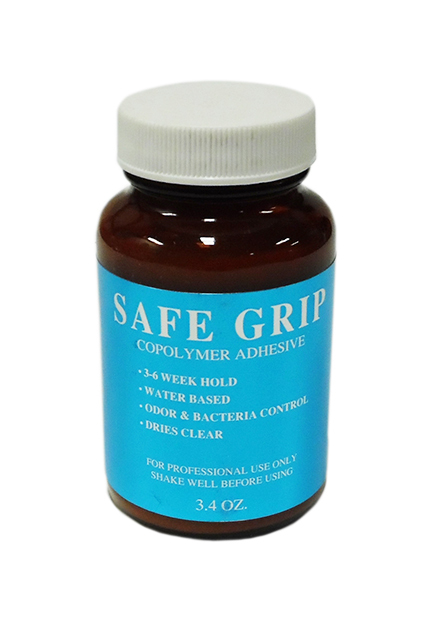 Safe Grip (3.4 oz) / Dozen - Super Hair Factory Inc. 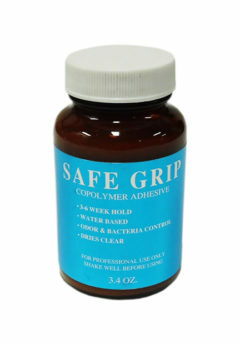 Safe Grip is a co-polymer adhesive that dries clear and is waterproof. 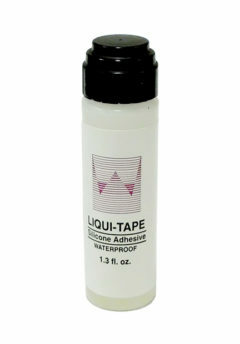 It is a great water-based adhesive with very low odor, and is bacteria resistant. It is a good soft bond that can hold up to 3-6 weeks.